The area of Kawartha Highlands Provincial Park, which includes the geographic townships of: Anstruther, Burleigh, Cardiff, Cavendish, Chandos, Harvey, and Monmouth; The area of Queen Elizabeth II Wildlands Provincial Park, which includes the geographic townships of: Anson, Dalton, Digby, Longford, Lutterworth, Minden, and Ryde; The area of Killarney Provincial Park, which includes the geographic townships of: Allen, Attlee, Bevin, Burwash, Caen, Carlyle, Cox, Curtin, Dieppe, Eden, Foster, Goschen, Halifax, Hansen, Humboldt, Killarney, Kilpatrick, Laura, Roosevelt, Sale, Secord, Servos, Struthers, Tilton, Truman, and Waldie. 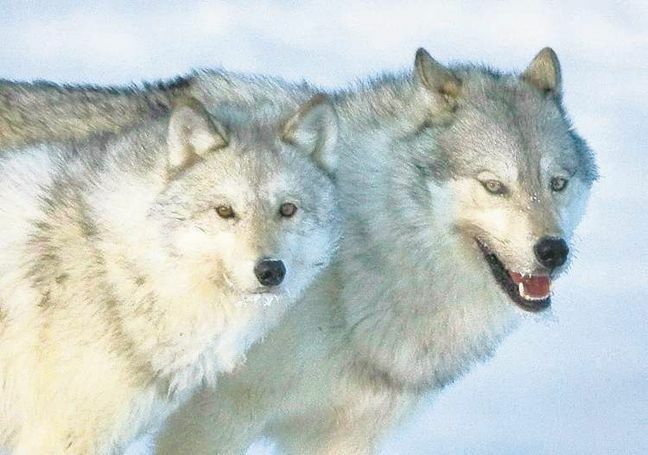 A spokesperson for the provincial government stated that because wolves and coyotes are difficult to distinguish from each other, the restriction on hunting and trapping must apply to both species. The ruling was made following a 31-day comment period held over this summer. Over 4,000 comments were received, most of them against the restrictions as laid out by the provincial government — many because of the increased threat to livestock and other prey of the wolf and coyote. Responses to "Ontario Bans Wolf and Coyote Trapping & Hunting in 40 Municipalities"
I think this is great. Wolves and coyotes only kill old and sickly animals, they do not kill for fun like humans. Maybe the farmers with livestock who oppose this should vet their animals more often. I also think this is great!! !I am a farmer myself and I have never lost an animal to a wolf or coyote. But then again I look after my animals. On private land I have never heard tell of a coyote killing a cow. Yes the rancher will say it happened and when the insurance shows up, no way. So that tells me they blame what they can to get money and it gives them an excuse to go out and shoot something. Canada is no different than the US when it comes to guns. I agree with previous posting, look after your animals and it won't happen. If you want to lease provincial land for cheap, then you pay the price that a cougar, wolf or a group of coyotes with get a few of your livestock. Great news and as it should be!! Ranchers who practice good husbandry and confinement of their livestock rarely suffer casualties. Thanks to the few who have commented here. They would garner considerably more public support if they did their due diligence instead of blaming wildlife for all of their losses. I just read of a rancher who tosses the placentas after his cattle give birth and a few coyotes come in to clean it up - then they leave and the livestock are left alone. Ranchers, PLEASE move on from your irrational fear and hatred of these species. GOOD ,NO MORE ABUSE /KILLINGS OF ANIMALS !! Of course its the POS ranchers complaining about livestock the fact that the meat and dairy industry is the second leading cause to green house gas and the fact that both hunters and ranchers banded together to stop Bill C-246 a bill to finally protect animals in Canada a bill to update the almost unchanged legislation of 1892. They could invest in non lethal means to protect their livestock but of course they would rather just eradicate species instead like the closed minded neanderthals they are! should be the entire province. Trapping and hunting our wildlife to extinction is not good for the rest of the environment and it is also morally reprehensible. So many uninformed wolf and coyote hugging fanatics. You people are absolutely ludicrous. 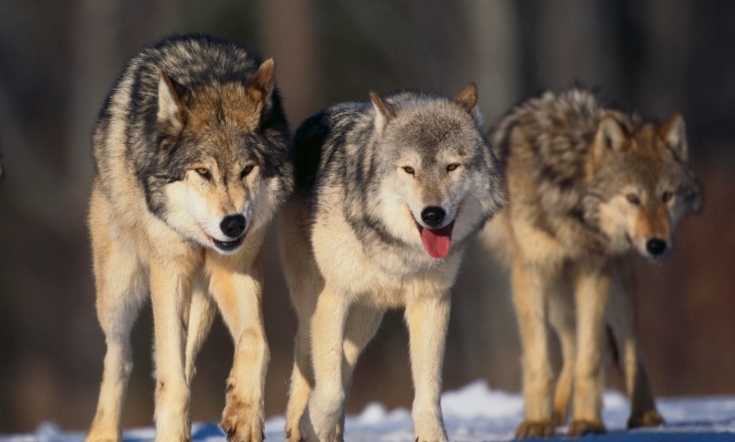 If you don’t know that wolves kill indiscriminately, many times without consuming the animal then your understanding of the species is severely lacking. Evidence of this can be easily found by anyone with internet access. These animals are not anything like your furry cute little poodle. The absolutely kill for fun. A step in the right direction...but much more needs to be done. Trapping is barbaric and indiscriminate. Its the farming that needs to be better'controlled', and farmers need to invest in protecting their livestock with non-lethal measures and stop using our predators for target practice. I'm all for supporting local farmers and ranchers, but not at the cost of our wildlife. I am here in Alberta and Dogs are getting stuck in snares, all over Alberta with around 3,000 trappers for profit. I have met Farmers, Ranchers that co-exist with Wildlife and have proper fences, guardian Dogs ect.For the Farmers, Ranchers who say,Hunters should learn the difference between wolves and coyotes, for better protection on your investment. Perhaps you should be doing the educating on fixing up, learning new ways, as many have been doing for years now. Fantastic. This is LEADERSHIP! This is aweful !!!!!!! Wolves and coyotes need to be controlled !!!! Not controlled to extinction, just controlled into balance ! For whoever said coyotes and wolves hunt only the sick and elderly is way to far wrong ! The kill what they can ! And not just for food ! They kill for fun ! It's in there instinct to kill ! It's what they do ! Trapping and hunting contribute to all animals! Not just by killing the predators, their funds go right into wildlife research, habitat, etc. When there becomes to many wolves and coyotes Diseases start to spread! Trapping and hunting is not inhumane and that's why there's regulations on traps and rifles. To keep it humane ! Hunters and trappers have the best intrest for all the animals ! Even the coyotes and wolves ! And that's why there needs to hunting and trapping! Because without it everything ! (Wildlife,cattle and humans) will suffer ! I hope this is a first step toward modern humane wildlife management in Ontario!!!! The present situation does not reflect the values of the majority in this province. Too bad this is not happening all over Canada. The marshes consume quite a few calves and cows in this area but it's easier to shoot and kill predators species. If you want to farm sustaining the planet and wilderness guardian dogs and guardian bashkir curly horses are the investment. Couldn't be more wrong there, Lara. Wolves and coyotes do NOT kill only the old and sickly. One ready example is the introduction of Canis Lupus Occidentalis into Yellowstone, where C.L. Irremotus was native previously. Not only did the wolves wipe out over 80% of the Northern Yellowstone Elk Herd and 90% of the moose, all healthy animals, by the way, it was found that roughly HALF were "Sport" or Surplus" killings, where the meat was left to rot. This "only kills the sick and the weak is a myth that just keeps getting repeated ad nauseum. They also harass pregnant cows in the winter, causing them to abort or re-absorb their fetus, and putting more stress on them. As for Coyotes, they're vermin. On one of the ranches I caretake, they wait in the bushes for the Black Angus cows to start giving birth, then attack the fetus before it hits the ground. I shoot every coyote I see, and always will. Sorry tree hugger and wolf/coyote bleeding hearts - coyotes do kill for the sake of killing(not out of hunger). Back in the early 60's, and living on a small farm that depended on every last dollars to scrape by, we lost 21 prime lambs(about 40 lbs. each) to a coyote pack in one day. Even the bells on the ewes did not deter the attack and slaughter. It must have been terrible for the lamb to have their throats ripped open and bleeding to death one by one. Snowflakes in Toronto pushing their agenda on the rest of the province. The coyote population is out of control and causing stress on the deer herd. I know I will be in the bush this winter doing my part in coyote population control.